Rebels. Provocateurs. Destroyers of false perception. Namilia is driven by an unwavering revolutionary and youthful spirit committed to true femininity in all her forms. 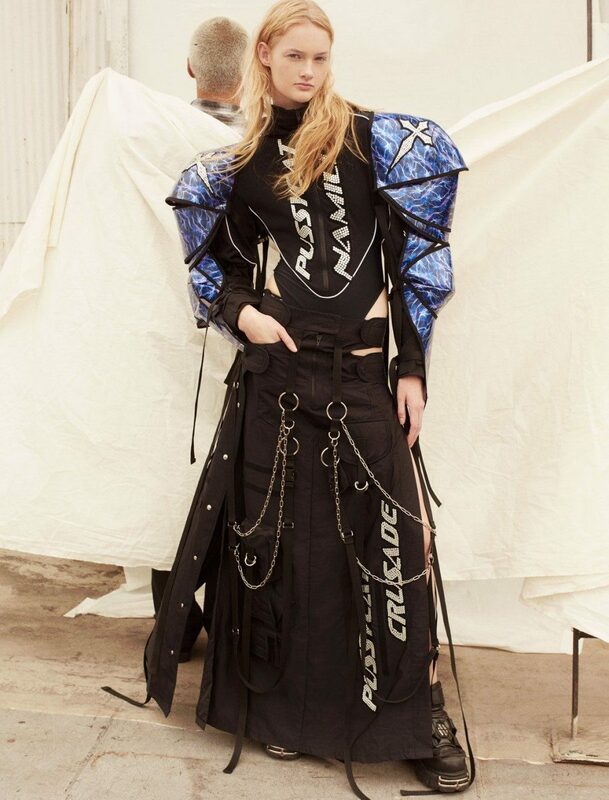 For Namilia, clothing is an aesthetic tool and a visual platform to express beliefs, conflicts and dreams. The brand was founded in 2015 by Berlin-based designers Nan Li and Emilia Pfohl shortly after graduating from the master’s course at the Royal College of Art London. Namilia runway shows presented during NYFW and produced by Kelly Cutrone have become one of the most exciting highlights during Fashion Week.